That’s right, we also have the world’s best grass. Seriously, it’s amazing!! 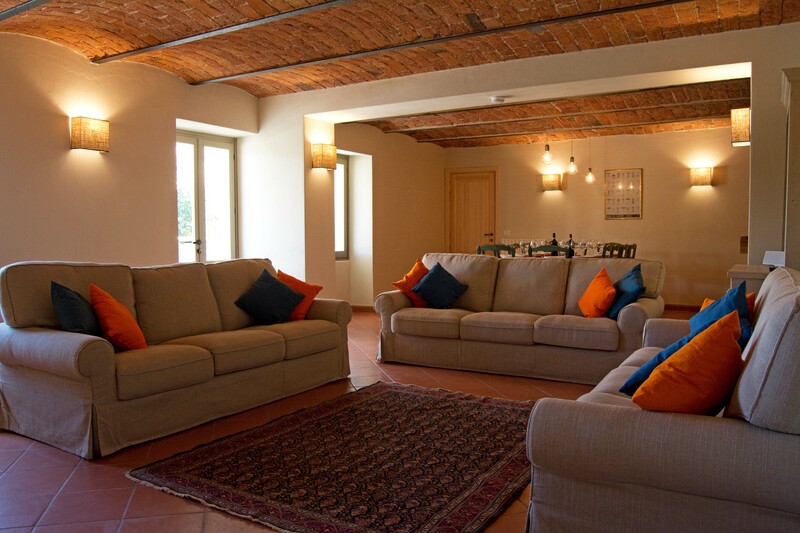 Known locally as Villa Ribota, it is a 5 bedroom, 4.5 bathroom private holiday home nestled among the Barolo vines. It sleeps 10 to 12 people, there’s a swimming pool, outside dining area and, of course, breathtaking views. Just a few minutes from the wine bars and restaurants of towns such as Barolo, La Morra, Monforte d’Alba and Novello yet immersed in nature, surrounded by vineyards and hazelnut groves, the house is uniquely situated to enable you to get the most from your trip to the Langhe. Whether you want to relax by the pool, soaking up the peace and quiet, trek through the vines, taste wine at our neighbours’ vineyards or get stuck into some Slow Food, the house offers something for everyone. Fully (and tastefully, if I say so myself..) renovated, the villa combines all the character of a traditional Piemontese farmhouse with modern design and comforts. 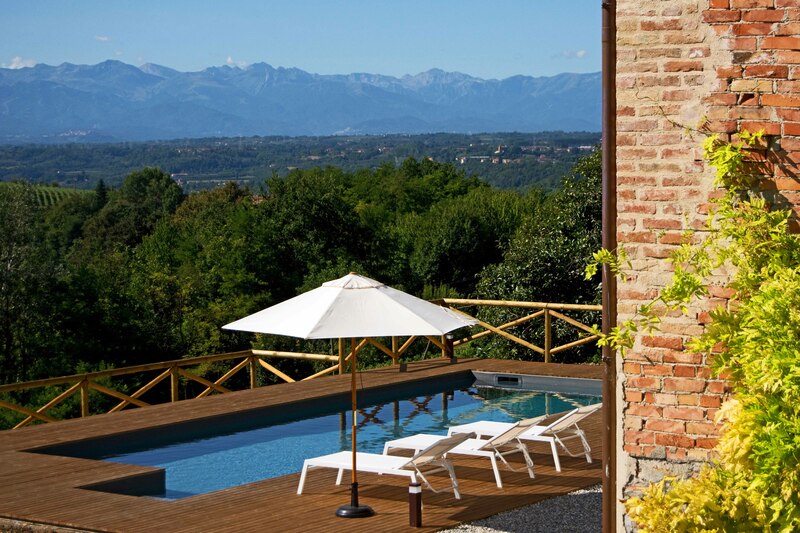 Huge picture windows make the most of the views across the vines all the way to the snow-capped southern Alps, the fully equipped, modern kitchen offers everything you need to perfect your Piemontese cooking, while the bedrooms and bathrooms are all spacious and well-equipped. And then there’s the outside… a covered outside dining area, barbecue, beuatiful swimming pool, large garden and views that just keep on giving. 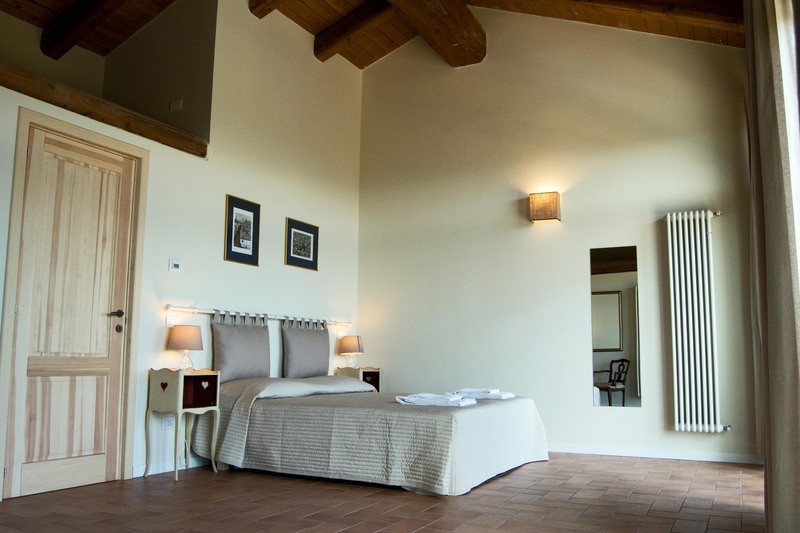 Vaulted brick ceilings, exposed Langhe stone walls and giant wooden beams combined with modern touches make the Villa feel light, comfortable and stylish. The kitchen and bathrooms are all new while the five bedrooms are all exceptionally large, airy and comfortable. Each of the bedrooms can be configured either as a double or a twin, and extra beds or cots for children can also be provided. The living/dining room offers plenty of space for 12 people to dine and relax in style. There is an open fireplace for those chilly autumn evenings, a flat screen HD TV with UK satellite channels and a dvd player and, of course, wifi throughout the property. The well-equipped kitchen and utility room offer a dishwasher, washing machine, oven, large fridge, coffee machine, plenty of storage for all your bottles of wine, and everything else you could need during your stay. Built in 2015, the swimming pool is the perfect place to unwind after a long day trekking through the vines or exploring some of the Langhe’s UNESCO-certified villages. We’ve now added a fence and a rosemary hedge too to make it that bit safer for families with small children. Soak up the sun on the south-facing deck, take in the view, wander around the garden, pick some fruit or hazelnuts from our trees, or take a break in the shaded outside dining area. The house is in the comune of Novello, in the Langhe, a small region within Piedmont, in Italy’s North West. Bordered by France to the west, Switzerland to the north and Liguria to the south Piedmont is a wonderfully varied area made up of mountains, lakes, foothills and plains. The house is uniquely situated right in the heart of the Langhe, Italy’s (and some would argue the world’s) best and most varied wine producing area. Recently recognised with UNESCO World Heritage status, vines stretch as far as the eye can see, broken only by gorgeous hilltop villages and medieval castles. The pace of life is slower here and tourism is still very low-key. There are no traffic jams, no strip malls, shops still close for lunch, people are happy to stop in the street and talk, and lunch can often take several hours. Known around the world for its wines, its white truffles and for being the home of the international Slow Food movement, the Langhe is heaven on earth for food and wine lovers. But with mile upon mile of trails through the vines its also a great place for fans of walking and cycling or for anyone who just wants to enjoy an unspoiled piece of Italian paradise. The house is in the Barolo zone, a group of just 11 villages within which one of the world’s most sought-after wines, Barolo, can be produced. You can walk out of the garden and through the Nebbiolo vines to reach the wonderful little town of Novello, or jump in the car and have several villages to choose from within just a few minutes, including Barolo, La Morra, Verduno, Monforte d’Alba and Castiglione Falletto. Within 20 minutes you can be in the larger towns of Alba and Bra and within an hour you can be exploring the streets of Turin, trekking in the mountains or relaxing on a beach in Liguria. For more information, please contact us at info@villaribota.com or check out our website, www.villainbarolo.com or our listings page on AirBnB.